I will always love Romania but now my journeys have taken me to the Republic of Moldova. This country is often given short shrift, especially by Romanians, as a smaller, more “inferior” nation. My natural spirit is to look on the positive side, so what follows are 10 reasons why I am enjoying my new home. Look ma, I’ve got my own dungeon key! Holey moley, is that the coolest key ever or what? It’s like a key to a medieval crypt or something. 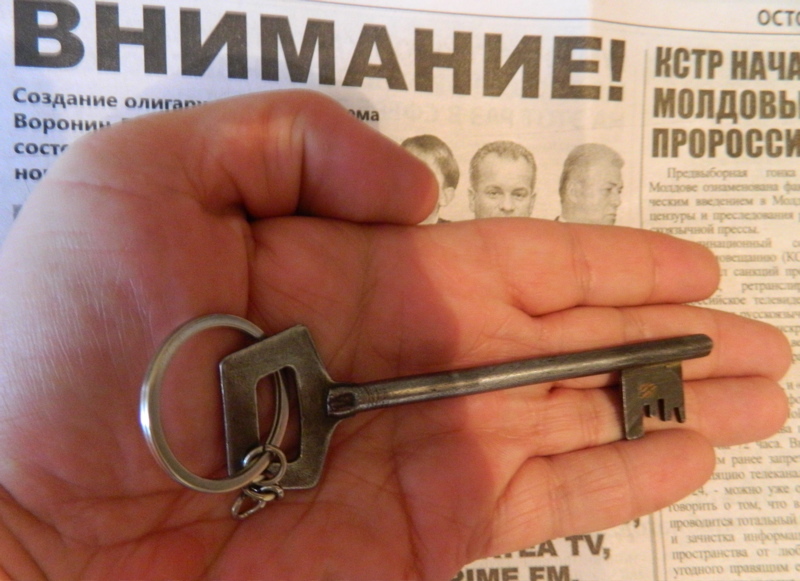 And it’s not just my apartment that opens with such a key – I’ve met several Moldovans who also have a similar key for their homes. Note: as an interesting side note, in the era of bump keys and using 3D printers to defeat technologically advanced locks, it would actually be nearly impossible to pick the lock on my front door. My lock isn’t that sophisticated. What would make it difficult to pick is that the amount of torque necessary to move the tumblers would be far greater than the capability of the tools that most lock pickers use. I own the genuine key and it still takes me quite a bit of effort to twist the key hard enough to disengage the two steel bolts. I’ve certainly written about the “deadly” curent in Romania, the belief that moving air (draft/draught) brings bad luck, illness and death, makes you misplace your keys and causes pregnant women to give birth to deformed children. You can imagine my shock last week when riding the bus on a chilly autumn day (about 17C) and… the friggin’ bus window was open. Somehow I and all of my fellow passengers arrived at our destination alive and healthy. Apparently the curent loses its evil powers once you cross over the border to Moldova. My apartment is right next door to a gradinita (elementary school) and there are hundreds of little kids happily shrieking and playing outdoors every morning. In fact, that’s because this entire zona is full of little kids. I originally just assumed that it was a statistical aberration, that for some unknown reason there were just a lot of families with young children living here. But everywhere I’ve been across this city, I’ve seen kids. Clearly, about 5-7 years ago, something changed and the population here got a lot more optimistic about the future, which triggered an enormous population boom. My guess is that the majority of the post-independence age group (now in their mid to late 20’s) have gotten married and are now busily producing kids. Assuming these young Moldovan children grow up tech savvy and familiar with the internet, they are going to be an enormous force for change in this country in the next decade. I had many reasons to leave America and one of them was to get away from all the screens. I had no television in my house and I used a clunky, slow computer so my “screen time” at home was fairly limited. But then I saw televisions popping up all over the place. They were in grocery stores and hypermarkets (like Wal-Mart). Then I began to see them in restaurants and the back seat of taxis. I even saw them in the lobby of a church. It was too much. I then moved to Romania and all was well for a while. But in 2007 Apple (more or less) invented the “smart phone”, which rapidly mushroomed until nearly every man, woman and child owned some kind of device with an interactive screen. If you’re reading this in Romania, or anywhere else in the world, go somewhere public and look around. You will see a now-familiar sight of people constantly “checking” their screens, interacting with their screens, and lost in a virtual world of screens. But here in Moldova? Oh wow. Only a small cohort of young adult women in their 20’s are lost in that screen world. Somehow the rest of the population gets along just fine with “dumb” phones that remain in pockets and purses. People in Moldova are actually looking around them, interacting with real human beings and the physical environment, and that’s pretty cool. The rest of the world seems to be turning into digital zombies and it’s only when you live in a place like this that you remember how nice life used to be. I admit it, I am a bit of a chaos junky. It’s one of the reasons I always liked spending time with Gypsies back in Romania. I like it when the rules are bent a bit, when there’s “wiggle room”, where the government isn’t interfering and imposing on every square centimeter of a person’s life. In Romania (and in many other EU countries), under current law, it’s actually illegal to ride a bicycle without carrying identification. 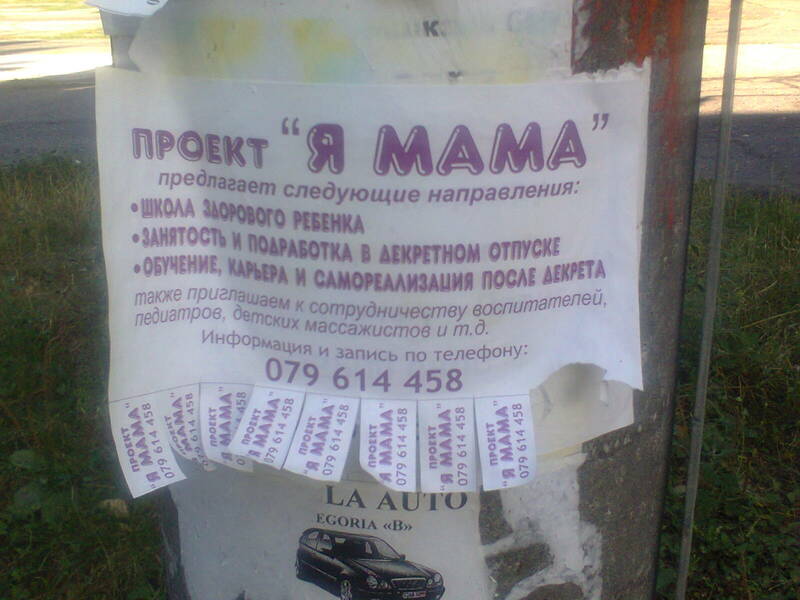 Here in Moldova? Go for it, buddy :) And that’s the way it should be. 14 years ago I fell in love with a Romania that had a bit of a wild, chaotic streak to it and slowly watched it get crushed under a mountain of EU regulation, bureaucracy and a population that wanted to have “civilized” things like high-speed motorways and shopping malls. When I was in Poland this summer, I saw Romania’s future and it horrified me. The small farmers have nearly all been squeezed out of business by large-scale agricultural businesses, and the “markets” where the food is sold are all now roofed and licensed and regulated, and the city landscapes are dotted with high-rise office buildings belonging to multinational corporations while the countryside is beautiful but barren, most of the villages wiped off of the map. Here in Moldova you can stand anywhere on the street, flag down a vehicle, hop aboard, nearly get killed by swerving, wildly braking drivers, hop off and then go lose yourself in the immense warren of a chaotic Turkish-style bazaar, yell and haggle over prices, and buy cheese made the same morning by a granny wearing a kerchief and rubber boots. It’s a bit wild for the average Westerner but god help me, I love it! My arch-enemies at The Economist have a stupendous amount of pride in their effete Big Mac Index. They assume that by comparing the prices of a Big Mac (a sandwich sold at McDonald’s) in different countries that they can thereby “compute” relative purchasing powers of different currencies. This, of course, is as non-sensical as Thomas Friedman’s claim that no two nations with a McDonald’s will ever go to war against each other. First of all, McDonald’s is advertised and commands a different segment of the market in different countries in different ways. McDonald’s is a poor man’s lunch in America while it is an upscale, fancy place to eat in Moldova. I prefer to use my own index, which I informally call The Onion Index. Onions are eaten all across the world, grow in nearly every climate, and were staple crops even back in the days of the Egyptian Pharaohs. They are never advertised and no multinational agrobusiness owns a dominant position in the “onion market”. Therefore, they are about as “pure” of a universal commodity as you will ever find. Last week I bought a kilogram of onions at the supermarket for 3.5 Moldovan lei, which is about 83 Romanian bani (0,83 RON) or 18 Euro cents (0.18 EUR) or about 11 American cents (0.11 USD) a pound. That is quite a good price indeed (for the buyer, anyway). My point is that the price of living in Moldova is quite low. Agricultural products, particularly domestic ones (which include onions), are also way cheaper than even in Romania. That’s largely because there is no “EU surcharge” or administrative and bureaucratic overhead that gets added on to the cost of food in EU countries (including Romania). I happen to think such a low price for onions is a good thing because they store well (without refrigeration) and they’re also one of the world’s healthiest foods. Among other things, they contain a tremendous amount of Vitamin C, which most people usually assume only occurs in tropical fruits (which are expensive imports in most of Europe). I’ve never even been to southern California but I know one of the reasons people love to live there is that it rarely rains. Moldova has a four-season climate but here too it rarely rains. That’s great for me, but it isn’t something natural. Moldova, much like California, has followed a very foolish policy of exporting almost all of their water for many long decades. As a result, the soil is quite poor here, often consisting of a powdery dust, and much of the landscape is brown (even if you don’t understand Romanian, check out this music video on YouTube, and you can see what I’m talking about). Of course practically no one in Moldova (or California, or Greece, etc) think that they’re in the business of exporting water. But it takes a lot of water to grow grapes (which get turned into wine) and apples and other fruits, and when 90% of these are exported, there is a huge net loss of water. Every bottle of Moldovan wine (including the one I drank 20 years ago in America, my very first exposure to this country) is one bottle of water that will never get returned to the soil and the biosphere in this country. In another 20 years Moldova will largely be on its way to becoming Europe’s first desert. If you think I am exaggerating the effects of all of this, considering the following: 150 years ago California was a pristine land inhabited by hunter-gatherer Native tribes and the first white farmers considered it a Garden of Eden. Now the entire state is in the midst of a severe water shortage. I already wrote an entire article about this already, so no need to further elaborate on the subject. I haven’t been here long enough to know what Moldovan cuisine is that isn’t Romanian or Ukrainian or Russian, but it’s also clear that the variety and styles of food that people eat here is a lot more varied. The other day I was in a food shop and saw refrigerated bags of something labeled entirely in Japanese. I finally discovered that they were pickled ginger, imported into this country to fulfill the demands for the new food fad of eating sushi. Yes! I’ve also seen two separate restaurants serving Georgian (as in Republic of) food, which is something I’ve never seen in Romania. There are also French restaurants and the “usual” Italian cuisine for sale here. And while Turkish-style “doner kebab” places exist, they are rare. In fact, Moldova has almost no fast food at all, and far, far fewer cheap pizza joints like you find everywhere in Romania. Restaurants here actually have some variety and the bigger grocery shops are full of exotic sauces, spices and foodstuffs. If I had more money, I’d definitely be eating out more often. It’s clear that Moldova is a foodie paradise. It’s time now to tell a true story from my own life so you understand just how much I love pickles. Many years ago, I had a Romanian girlfriend and I was away from her a while so when I arrived at the airport we were both ecstatic. She had a hotel room reserved for us and she was quite enthusiastic on the taxi ride from the airport, anxious to make up for lost time. But before we arrived, I told her we had to make a quick stop. As we entered the restaurant, she assumed that I must’ve not eaten on the plane, and so she was quite surprised when all I ordered was salata de muraturi, or a “mixed plate of pickled vegetables”. Yes, that’s right. When it came to rushing off to a hotel room to be with my girlfriend, I chose pickles first. I’ve certainly written about pickles before but I hate the word “pickle” because it stands for two totally separate things. One kind of pickle is just a preserved vegetable (usually a cucumber). If you place it into a preserving fluid (usually vinegar), bacterial action is halted and so decay is delayed. If you put a vegetable in a jar of honey, that decay would be delayed for thousands of years, which is why honey found in King Tuthankhamen’s tomb is still edible. I consider this kind of “pickle” to be fairly disgusting and not worth the name, but it’s all you will ever find on store shelves. The second (real) kind of pickle involves fermentation. The vegetable is actually attacked by anaerobic bacteria, which then gives spawn to a second wave of different bacteria that eat the first bacteria. This progresses, over the course of several weeks, into a cascading pattern of over 50 different kinds of bacteria, each one (in effect) eating the species of bacteria that preceded it. It sounds a little disgusting when you put it that way, but the end result of a fermented vegetable is that the last stage of bacteria is incredibly healthy (for human beings). The vegetable hasn’t just been preserved, it’s actually been enhanced nutritionally. And it’s also damned tasty. In Romania I loved the pickled cucumbers, cauliflower, green peppers and cabbage. Here in Moldova they have all of that plus beets, carrots, gogosari (a green/bell pepper variant), ginger and even green tomatoes. Wow! There is an entire section in every shop dedicated just to pickled foods. I am in heaven here. Previous Post Call the gokmop! the “onion index”, yes the Economist must adopt! Sorry but it seems that you, while in Romania, haven’t ever eaten pickled carrots, celery, gogosari(especially used in Salata de Boef, even without “boef”) or pickled green tomatoes(gogonele). It is strange. I am writing this in Bucharest with one hand and the other is “pickled” in a gogonea(pickled green tomato). i forgive u now> have fun in moldova and let us know. Sam , loved this piece and all your new adventures in Moldava. Reminds me of the old Disney Travelogues, “People and Places” excellent, enjoyable writing.